Timandra is a regular on BBC Radio 4, writing and presenting How To Disagree, a beginner’s guide to having better arguments and FutureProofing, a series looking at the social impact of new big ideas. She also presents documentaries such as Data, Data Everywhere and Personality Politics, and was resident reporter on social psychology series The Human Zoo. Her book Big Data: does size matter? was published by Bloomsbury Sigma in June 2016. As well as data, she speaks and writes on AI, robotics and other topics around our relationship with science and technology. Timandra chairs events with a variety of partners, including Cheltenham Science Festival, the British Council, the Royal Society, the RSA, NESTA and the Wellcome Collection as well as a robotics conference in Moscow. After years of improvised and stand-up comedy, cabaret and touring with a tented circus, she formed the first comedy science double-act in the UK with neuroscientist Dr Helen Pilcher. 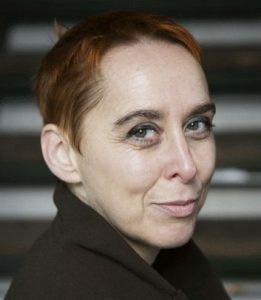 In 2010, she co-wrote and performed Your Days Are Numbered: The Maths of Death, with stand-up mathematician Matt Parker, to average audiences of 100.3 and four-star reviews at the Edinburgh Fringe, then touring in the UK and Australia. Her science comedy since then includes cabaret, gameshows and a solo live show, Brainsex. Timandra is a visiting fellow in the University of Winchester Centre for Information Rights.